unfortunately there are a variety of reasons why a key upload can fail. Is there any chance that you are using Little Snitch or any other firewall on your Mac? If so, please temporarily disable that software and repeat the key upload. Could you temporarily switch to the Uni Mainz key server address and see if that works? the way to fix this. I am not currnetly using Little Snitch. I had an error uploading a key today and checked to make sure to update expiration of keys and subkeys. not sure if its related? 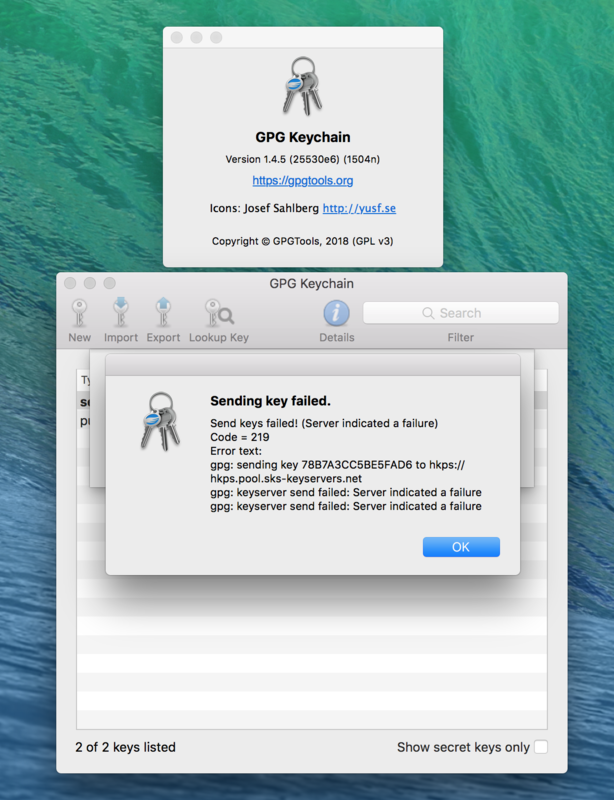 @Dijana: Were you able to update your key after switching the key servers in GPG Keychain > Preferences?